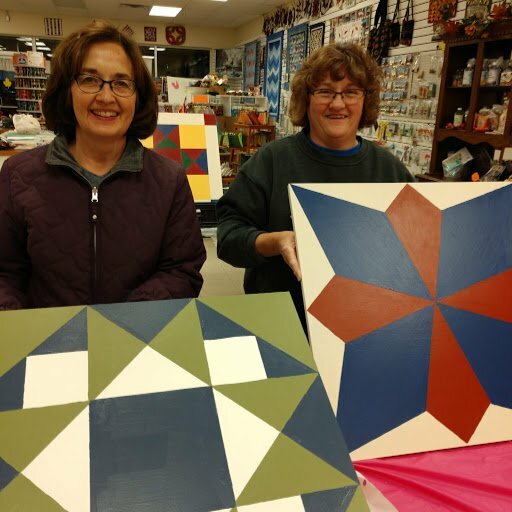 Painting a wooden barn quilt with Deb Rutkowski on Friday, February 22nd from 5 - 9 pm. Come and join us as we paint a wooden barn quilt with Deb. In this class, she will be teaching and showing us how to paint a 2' barn quilt of our own. Deb has four different designs to choose from. Everything will be provided, including the wooden quilt, paints and brushes for only $45. Come to the shop and pick out your design and color choices. Call today to sign up (989) 317-8700.